MC talks about linking up with No I.D., Swizz Beatz and more on his latest. With all of the fanfare surrounding the 20th Anniversary Of Nas' Illmatic last week, you could almost forget that he still makes new music, too. Almost. But fear not: a new album is fully in the works, and Esco has been in with some super producers to get it ready. "I started working with [Timbaland], I want to say a year and a half ago," Nas told NPR . "I think it was the same year I dropped my last album, Life Is Good, [in 2012]. I started with Tim and it felt really powerful." Yet, as powerful as it was, something just wasn't quite right. "I stepped back from it," Nasty continued. "Tim's like, 'What are you doing?' and I'm like, 'I just need a minute to like ‒ I just need a minute to take it all in, just live a little and enjoy day-by-day stuff and daily stuff I'm doing.' It's just ‒ I didn't want to go back in the studio that quick. I felt like I needed to be inspired." Only when Nas was reflecting on the origins of his career, getting ready to celebrate the two decades that had passed since his debut album, did he again feel the necessary spark. Particularly, he credited the recent documentary, "Time Is Illmatic," and its creators. "I salute them dudes, man ‒ One9, Erik Parker, the whole crew over there that's put that film together ‒ because that's helped me find the inspiration," he said. "I found it. 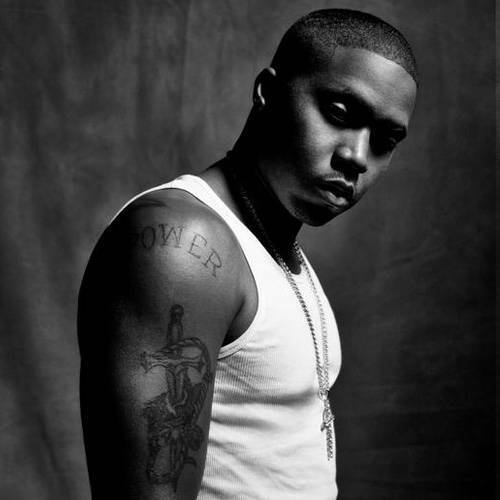 "I jumpstarted the album again ‒ the new one," Nas revealed. "Now I'm at a place where I could play a song for somebody and they really get it and they really understand ‒ they really feel it. At first I didn't, so I'm happy to say I'm at a place where it feels right. I talked to Swizz, and we went through joints. And No I.D. and Timbaland, you know. This the only interview I'ma talk about it, 'cause I know once this comes out, people might ask me about the record and, man, I just want to finish it and get it done." Thanks to jshin.